If there’s one thing I can’t do it’s to peel an egg without breaking the entire thing. Seriously. For the life of me I cannot get that hard-boiled egg peeled in a way that didn’t take half the egg away. That is anyway, until I started to make hard-boiled eggs in my instant pot! I swear, I’d keep my instant pot for this reason alone. Seriously. Those peels just peel off. I’m not a die-hard instant pot fan, but I will give it this: hard-boiled eggs in the instant pot is the way to go. And if you’re wondering why I’m not a super instant pot fan, because really, they are ALL the rage right? 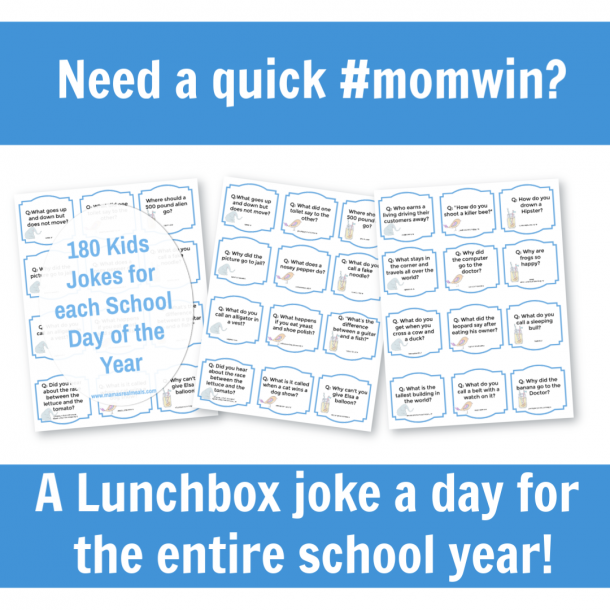 And as a mom of 5 little ones, shouldn’t I be all over it? Check out this post where I compare the instant pot to the slow cooker and you can tell me what you think of yours! Anyway…. Back to the instant pot hard-boiled eggs…. This is actually a ‘recipe’ that I recommend everyone who’s new to instant pot cooking to start with! I teach you on a video on how to exactly do this in Instant Pot School, so if you’re super new to your instant pot, definitely get out this free video training vault about the instant pot! It’s a great way for beginner instant pot users to get started using their instant pot and to get used to using it, without really screwing up your entire meal the first time you use it. 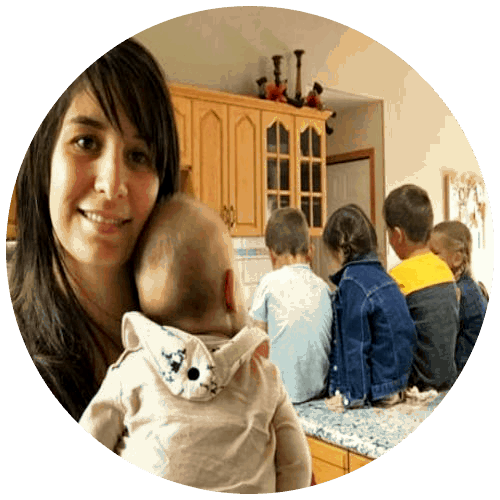 Join to Conquer Your Instant Pot! In a super short answer, to hard boil your eggs in your instant pot, all you need to do is add 1 cup water to the bottom of your inner pot, add you trivet, plop your eggs on top, close and lock the lid, press manual cook, then cook time, adjust to 3 minutes, (make sure your pressure valve is locked) and then let it naturally release 2 minutes after cooking! But since this is probably your first time you want a more in-depth answer than that to actually have your hard-boiled eggs turn out right?!? This will vary, if you only have the trivet that came with your instant pot, you can layer the eggs 2 high. In my 6 quart instant pot, this means I can get about 12 eggs in it. 6 eggs on the bottom of the trivet, and then 6 eggs laid on top of those eggs. 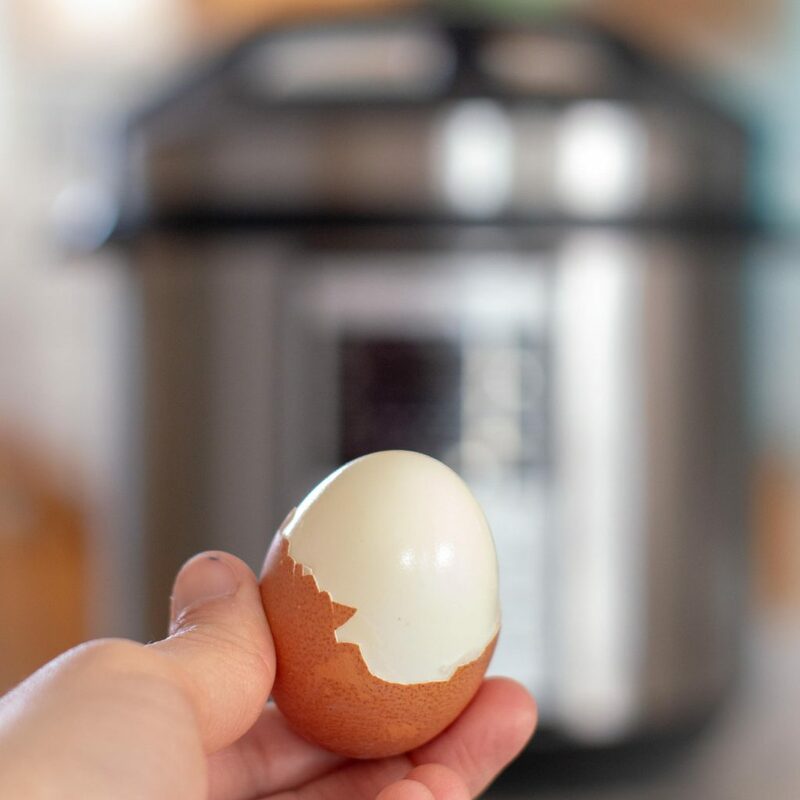 If you find that you’re always going to be cooking more eggs than that at a time, or don’t want to spend the time balancing the eggs correctly, (especially when taking them out of the inner pot) then get yourself this super handy egg accessory that goes with the instant pot! 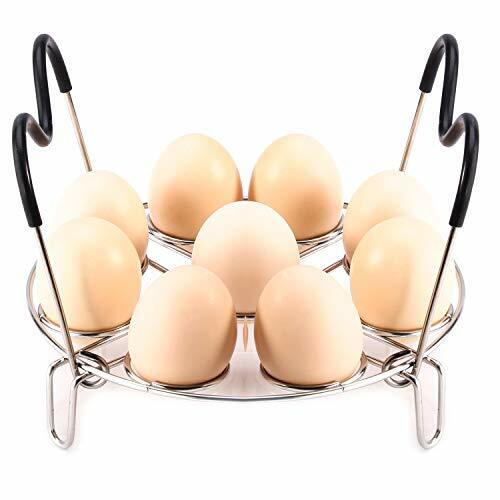 Bonus Tip: If you want your yolk perfectly in the middle of the hard boiled egg, place you eggs UPRIGHT with the skinny end up in this special egg trivet to have that perfectly uniform deviled egg! How long does it take to boil an egg in the instant pot? The actual cooking time? 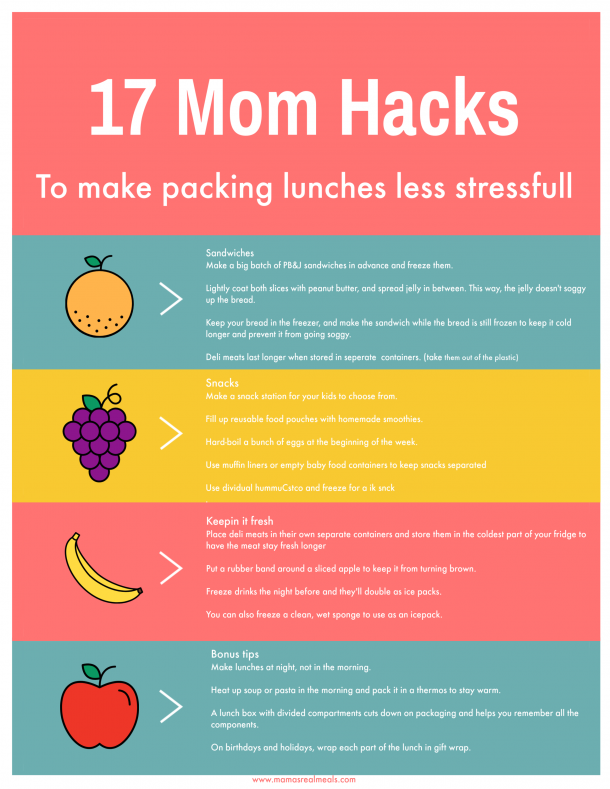 This is will be anywhere from 2-5 minutes cooking time, depending if you want a hard-boiled egg, or only a soft-boiled egg. What you need to keep in mind though, is that for every instant pot recipe, it takes time for the pot to come to pressure. When I make boiled eggs, I count on it taking 5-7 minutes for my pot to come to pressure, and then another 3 minutes cooking time, and then another 2 minutes for it to naturally release pressure. So this will depend on how ‘hard’ you want your eggs, and how many eggs your cooking at the same time. It can take anywhere from 9-15 minutes before your eggs are ready to be dumped into the ice bath. What is the 5-5-5 method for instant pot hard-boiled eggs? 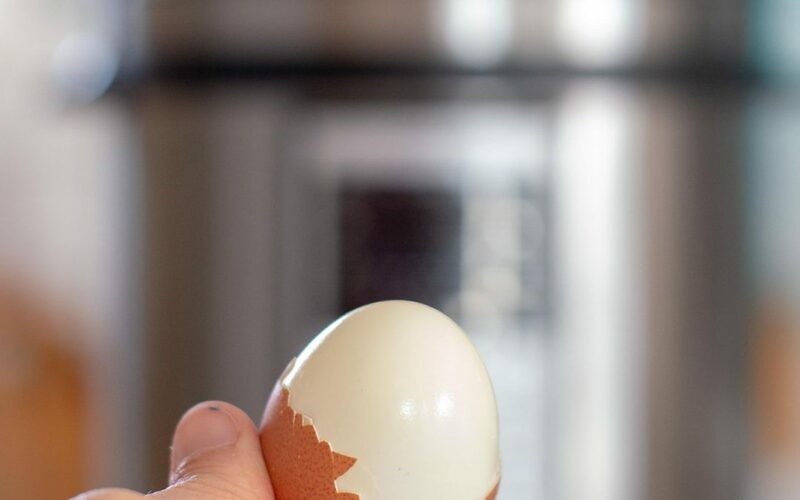 The 5-5-5 method for hard-boiled eggs in the instant is when you cook the eggs for 5 minutes, let it naturally release for 5 minutes, and they sit in the ice bath for 5 minutes. Personally I don’t like doing it this way! In my experience, it cooks my eggs just a little too much leaving the edges of my yolks going slightly grey or even green. Join Now to Learn Your Instant Pot! 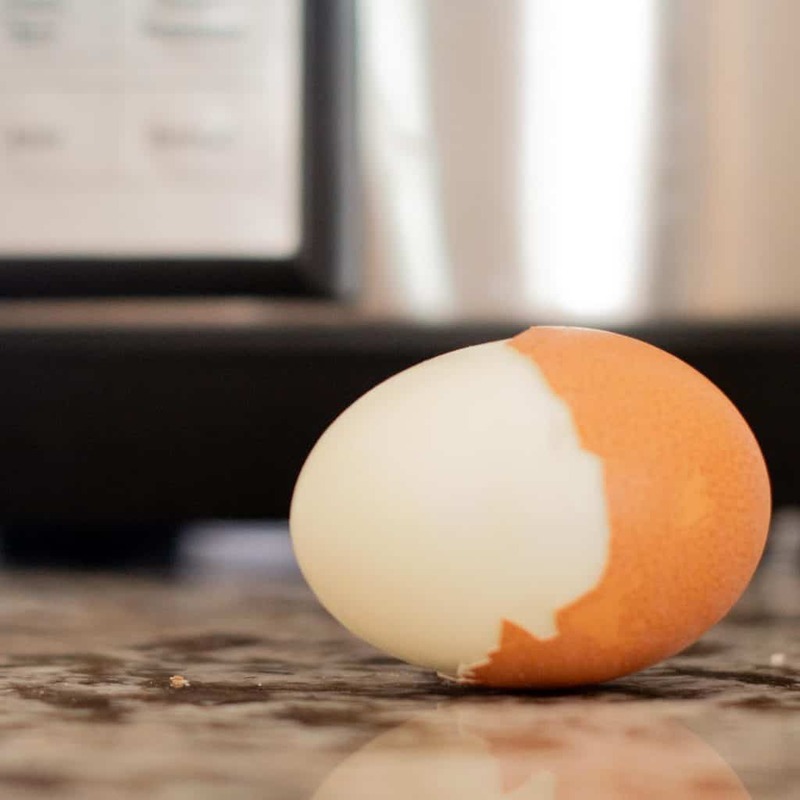 So how do you really cook hard-boiled eggs in the instant pot? How long? 2. 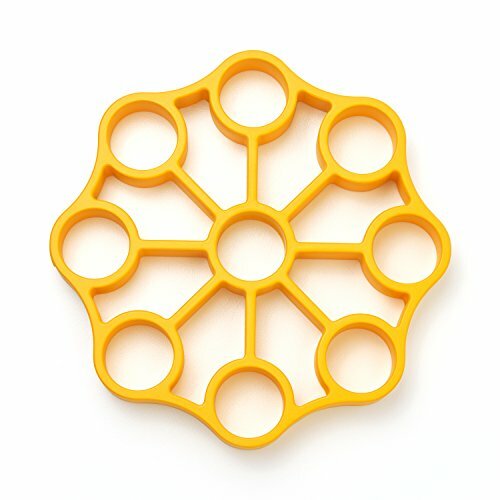 Add your trivet, either the one that came with your instant pot, or this super handy trivet made for just eggs! 3. 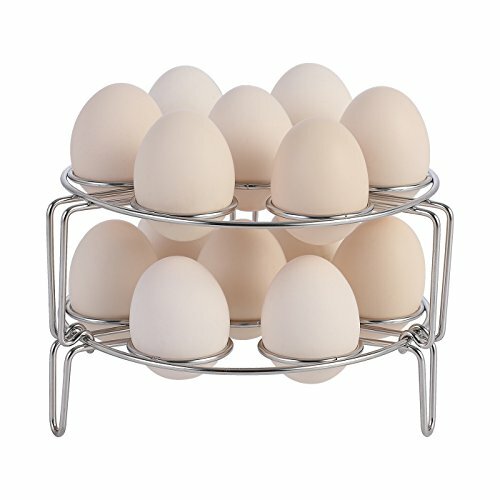 Place your eggs on the trivet. If you only have your traditional trivet, you can put 2 layers of eggs, otherwise use a double layer trivet if you have the egg trivet. 4. Close and lock the lid, making sure the pressure valve is locked. Press, manual cook, then cook time. If you want soft-boiled eggs, set the time to 2 minutes, if you want hard-boiled eggs set the time to 3 minutes. That’s not to overwhelming is it? I would love to see how yours turned out and to share your success!!! Post your picture on Instagram using the hashtag #mamasrealmealssuccess and tag me at @mamasrealmeals so that I can see it! Do you REALLY need an instant pot? How is it different? How in the world do you know what size you need to buy? Instant Pot Do’s and Don’ts! 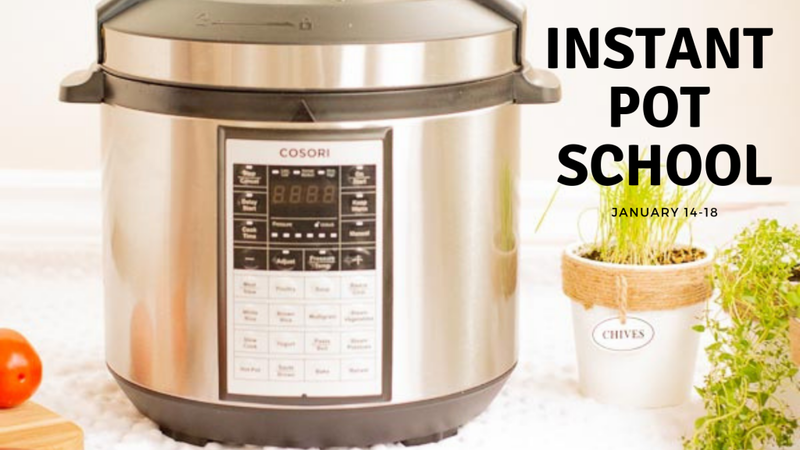 (rock using your instant pot, even if its the first time)ALL of this content plus cheat sheets, conversions and EVERYTHING you need to know to start using and be confident using your instant pot is all in the FREE Instant pot school!! So make sure you sign up below to get access to all the instant pot videos and resources!